Other Products: Smooth White Cardstock, Rangers White Heat Embossing Powder, Foam Tape, Acetate Sheet, Cracked Pistachio Distress Ink, Twine, Score Board. Instructions: The ready top fold card measures 8 1/2" by 5 1/2". To start with, create a background on a white cardstock measuring 8" by 5", with watercolor technique, using Cracked Pistachio distress ink. Once satisfied with the background, stamp leaf veins from Classic Rose Collection using Olive Green and Library Green Archival inks and score the panel each time at 1/8". Layer the panel on a black cardstock, 1/8" larger to the top panel. Choose the images from the pattern paper and cut two scenic patterns using Circle Basic Large Die. Also, cut 2 pieces of white frames and one green color frame for each scene. Create a shaker embellishment by stacking 3-4 extra frames and closing it with a circle cut from acetate sheet and another frame as shown. Decorate the shaker embellishment with shaped tiny flowers from Wildwood Floral Collection. Stack 3 die cuts of the cage from Lush Lilac Scroll and Cage Die and stack them together using an adhesive that dries clear. Add Rajni Chawla's Frosting Powder and heat set and shape a little as shown. Stamp and cut flowers using Lush Lilac Stamp and Die and color them using Archival ink, Cactus Flower, Magenta Hue, and Majestic Violet. 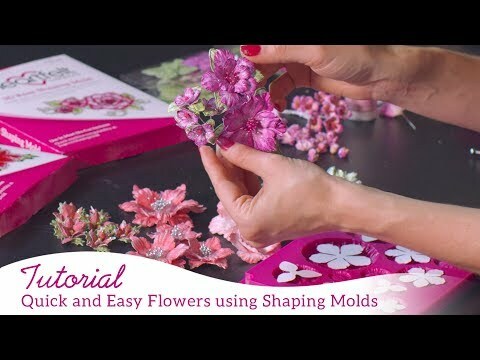 Shape the paper flowers using Lush Lilac Mold. For Vellum Lilacs, stamp the images with white color box ink on vellum sheet, and sprinkle white heat embossing powder. Dust extras and heat set with a heating tool. Color them using distress oxides and then cut them using their coordinating dies. Shape them using needle tool and add prills to the flower centers. 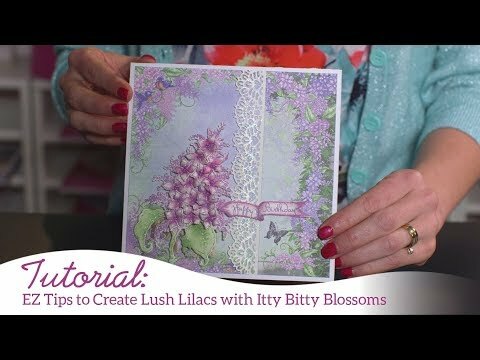 Cut embellishments from the Lush Lilac designer paper collection and glue them on a white die cut to make the embellishment bit sturdy. Using these embellishments, form flower clusters around the focal images as shown. Cut two birds from the paper collection using Songs of Spring Die from Singing In the Rain Collection. Glue them on another die cut from white cardstock and shape a little. Cut sentiment tags from the paper collection and tie around the card with the help of the twine and add some extra sparkle to the edges using Rajni Chawla's Crystal Clear for extra interest.